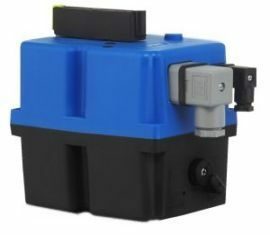 Electric Actuators – Plast-O-Matic Valves, Inc.
Plast-O-Matic EBV- Series Electric Actuators are available with mounting kits for easy field retrofit. Premium Brushless EBVF and High-Speed Heavy Duty EBVC actuators are available for previously installed 2-way manual valves. For 3-way valves installed in a piping system, please contact our Technical Group. Premium brushless model EBVF provides automatic voltage sensing in high or low range, with standard manual override, position indicator, running lights, condensation heater and thermal overload protection. Options include Fail-Safe battery pack and 4-20 mA or 0-10 VDC electronic control. Includes mounting kit. 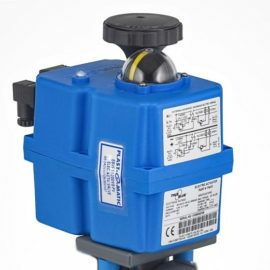 Designed for easy field installation for 2-way valves; for 3-way valves consult factory.